Today I glued on the front seat. I also epoxy sealed the rear watertight compartment. I'm just going to let you know that today was the most productive, least disastrous, most efficient gluing event yet on this boat. Still some mistakes, but NOTHING like gluing the boat together or putting them bottom on. Which makes me worried that I screwed up or was deficient on the most important parts of building, but alas, what I have, I have, and we'll see if she sinks or swims. Hopefully, she soars. When I realized that the garage was holding steady at 44 deg. F (7 C) I decided to get with some gluing. I mixed up about 3 pumps of resin and the corresponding hardener and dumped in a bunch of thickener, and applied it to my pre-coated seat cleats and BH1 + 2. I just really dumped the thickener into the mix. I figure this: If I have a tight fit, less silica, if I have a loose fit, more silica for a more filling mix. It took me this long to figure it out. This, with some valuable information from the Storer forum has helped me make better epoxy mixes. One rule to follow: Pulling the mixing stick out of the glue, if the point droops, its good for gluing, if the point stands tall, its good for filleting. Variations apply to temperatures, however, as you will soon find out. I'm pretty happy with the result. However, after I was done I wandered into the kitchen where my beautiful wife asked me what I did. Wife: So how'd it go? 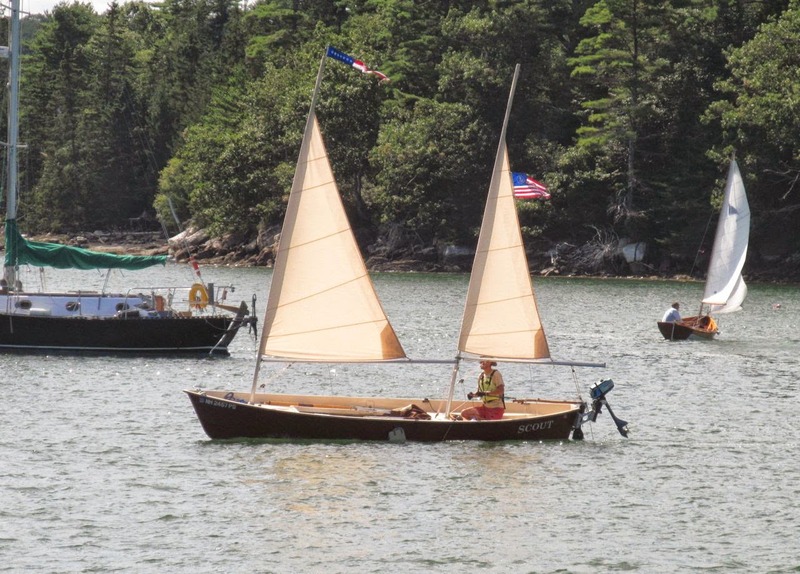 Me: Oh it went great, I'm the man, I'm the next Herreshoff, I glued on the front seat. I am The Man. Wife: Great! You're great. I'm so glad I married you! That's the watertight compartment, right? Me: Yup! The seat forms the forward watertight compartment! Now look at this picture snapped from within the mast-well between BH1 and 2 looking forward on the starboard side! Gaps! And while I don't think they run through, there are photodocumented gaps on the inside of the tank as well. Dammit. I'm too tired and whooped to worry about it tonight, I will make sure to squeeze some epoxy in there in the future. It's also a strange spot to get to, I have to get into the boat to make this one work, and she's up on buckets, so it will have to wait. OH YEAH, here's my heater tent. I can keep it 56 F (13 C) in there with my little space heater.